[Smilacina Desf. Ann. Mus. Paris 9: 51. 1807.] Rootstocks slender, or short and thick. Stem simple, scaly below, leafy above, the leaves alternate, short-petioled or sessile ovate, lanceolate or oblong. Inflorescence a terminal raceme or panicle. Flowers white or greenish white, small. Perianth of 6 separate spreading equal segments. Stamens 6, inserted at the bases of the perianth-segments; filaments filiform or slightly flattened; anthers ovate, introrse. Ovajy 3-celled, sessile, sub-globose; ovules 2 in each cavity; style short or slender, columnar; stigma 3-grooved or 3-lobed. Berry globular. Seeds usually 1 or 2, subglobose. [Named in honor of Wagner.] About 25 species, natives of North America, Central America and Asia. 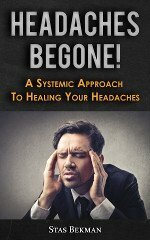 Besides the following, one or two others occur in the western United States. 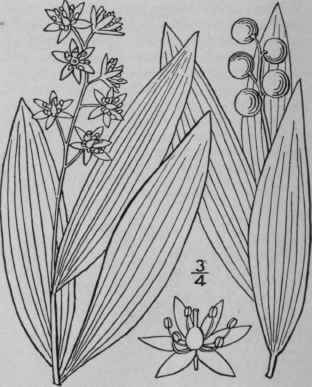 Type species: Convallaria stellata L.
Plant 8'-20' high; leaves numerous. Plant 2'-15' high; leaves 2-4. Convallaria racemosa L. Sp. PI. 315. 1753. 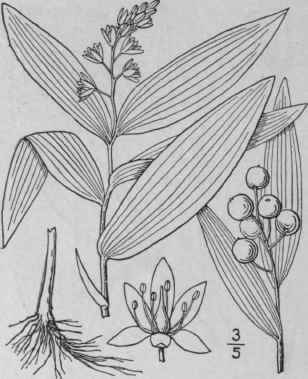 Smilacina racemosa Desf. Ann. Mus. Paris 9: 51. 1807. V. racemosa Morong, Mem. Torr. Club 5: 114. 1894. Rootstock rather thick, fleshy. Stem somewhat angled, slender or stout, erect or ascending, leafy, finely pubescent above, or nearly glabrous, sometimes zigzag, 1°-3° high. Leaves oblong-lanceolate or oval, sessile or the lower short-petioled, 3'-6' long, 1-3' wide, acuminate, finely pubescent beneath and sometimes also above, their margins minutely ciliate; panicle densely many-flowered, 1'-4' long, peduncled; pedicels shorter than the flowers, or equalling them; flowers about 2" broad; perianth-segments oblong, equalling the ovary; berry red, aromatic, speckled with purple, 2"-3" in diameter. In moist woods and thickets, Nova Scotia to British Columbia, south to Georgia, Missouri and Arizona. Ascends to 2500 ft. in Virginia. Job's-tears. Goldenseal. Small or Zigzag Solomon's-seal. May-July. Vagnera amplexicaulis (Nutt.) Greene, of western North America, distinguished from this by its clasping leaves and longer style, may occur in western Nebraska. Convallaria stellata L. Sp. PI. 316. 1753. 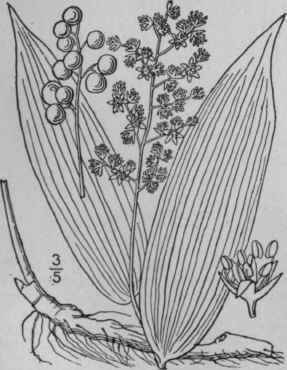 Smilacina stellata Desf. Ann. Mus. Paris 9: 52. 1807. Vagnera stellata Morong, Mem. Torr. Club 5: 114. Rootstock stout, fleshy. Stem rather stout, erect, glabrous, 8-20' tall, straight or somewhat zigzag, leafy. Leaves oblong-lanceolate or lanceolate, sessile and somewhat clasping, minutely pubescent beneath, 2'-5' long, 1/2-1 1/2 wide, acute, acuminate, or blunt at the apex, flat or somewhat concave; raceme sessile or short-peduncled, 1'-2' long, several-flowered; pedicels l"-4" long, usually shorter than the flowers; perianth-segments oblong, obtuse, longer than the stamens; style about as long as the ovary; berry green with 6 black stripes or black, 3"-5" in diameter. In moist soil, Newfoundland to British Columbia, south to Virginia, Kentucky, Kansas and California. Also in northern Europe. False Solomon's-seal. May-June. Convallaria trifolia L. Sp. PI. 316. 1753. Smilacina trifolia Desf. Ann. Mus. Paris 9: 52. Glabrous, rootstock slender. Stem slender, erect, 2'-15' high, 2-4-leaved (usually 3-leaved); leaves oval, oblong or oblong-lanceolate, sessile, sheathing, 2'-5' long, 1/2-2' wide, acute or acuminate at the apex, narrowed at the base; raceme few-flowered, peduncled, l'-2' long; perianth-segments oblong or oblong-lanceolate, obtuse, finally somewhat reflexed, longer than the stamens; style about as long as the ovary; berry dark red, 2 1/2"-3" in diameter. In bogs and wet woods, Newfoundland to British Columbia, south to Connecticut, New Jersey, Pennsylvania and Michigan. Also in northern Asia. May-June.